Do You Really NEED a Certification? The world of personal training can be a confusing place. Aside from actually helping people reach their fitness goals, new trainers also need to worry about websites, liability insurance, marketing and pricing structures. And that's without even considering specialization or continuing your education. But before you get your first client (or job), you need to get certified. While there are plenty of personal trainer certifications in the US, not all are equal. It's vital to choose a certification that meets your requirements. The criteria to consider includes the type of client you want to work with, your budget and experience. It's also important to know exactly what you're getting from a certifying body before you hand over your cash. You don't want to get certified by the wrong organization, as this could hold back your career. To help you make the right choice, I've listed what I think are the five best certifications that are currently available. This is based on their study materials, reputation, recertification costs, accreditation and other factors. Let's get started! Below this table are in-depth guides to five of the best personal training certifications, including reviews of their training materials, value for money and recertification requirements. If you just want this information at a glance, however, then the comparison chart is probably all you need. Before I get to the recommendations, however, I have an important piece of advice: if you already know which gym you want to work at, make sure they accept a certification before pursuing it. NCCA-accredited programs are widely accepted, but that doesn't mean every gym accepts all accredited certifications. Bottom Line... NASM is my top pick. Widely accepted, so you'll be highly employable, and excellent training materials. ACE is a close runner up. It's a great alternative to NASM if you want one-to-one feedback with any training bundle. Decent all-round certification but excellent if you want to train athletic clients. Essentials textbook is fantastic. If you're looking for a certification with a slight lean towards clinical fitness, ACSM is the one to go for. ISSA is a solid program- especially the business module- but make sure your employment options accept it. My top rated pick for the best personal training certification is NASM-CPT. It's a nationally recognized program that's based on the Optimum Performance Training (OPT) model and is NCCA-accredited. If you're looking for a great certification to start your personal training career, NASM is a solid choice. The NASM CPT program focuses heavily on its Optimum Performance Training model. What exactly is OPT though? NASM describes it as a "comprehensive training system" that combines scientific research and evidence-based practice into a reliable system for designing programs. In practice, this makes it easy to create programs for your clients that reliably improve flexibility, core stability, strength, power and cardiovascular endurance. The OPT model also integrates corrective exercises when training both athletic clients and those from the general fitness population. I'm a big believer in repeatable systems, especially for new trainers, so the OPT model is a major plus point for NASM. Like many CPT programs, NASM requires valid CPR and AED certifications. You also need a high school diploma (or equivalent) and be at least 18 years old. All NASM programs (aside from the exam-only option) come with a variety of study materials. These include a textbook, which is sent as a hard copy and PDF, and lecture videos. You also get an exercise library, cueing library, quizzes and a study guide. Things start to get more complicated with the higher priced programs though. The premium self-study option includes an additional set of learning activities and flashcards. If you want more assistance with learning for the exam, the guided-study program includes webinars, access to a mentor and coach, a live workshop and various other perks. The most interesting option is the all-inclusive program. This includes everything from the other programs, but comes with a retest voucher, CPT development program (which includes 80 hours of hands on experience) and even a job guarantee. NASM requires recertification every 2-years. This cost $99 and you need to have completed 20 hours of CEUs in this time. There's also an option of lifetime recertification for $299, although you still need to complete the same amount of CEUs. While the recertification cost isn't the highest I've seen, it's also not the cheapest. The 20 hours of CEUs is average for a 2-year recertification program. Once you've passed your initial certification with NASM, they offer a range of specializations. These include corrective exercises, performance enhancement, fitness nutrition, group training, women's fitness, youth training and MMA conditioning. This variety in future specializations is one of the best things about training with NASM. 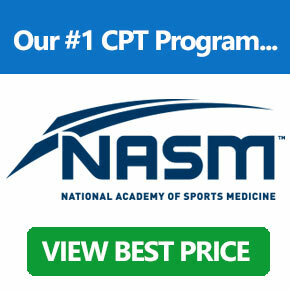 The current price of the NASM-CPT self-study course, which includes an exam token, is $699. I think this is a reasonable price, considering the extensive training materials that are included with the program. It's one of the most expensive certifications on the market though, especially if go for one of the pricier plans, so if you're on a tight budget you may want to consider a less expensive option. The NASM CPT program is an excellent way to start your personal training career. It's an NCCA-accredited course, which means it's a widely recognized certification. The program also includes high-quality training materials and plenty of scope for future specializations in diverse topics. If you're not sure which certification to choose, you can't go far wrong with NASM - although if you have a gym lined up for work then make sure you check they accept NASM first. For more information, check out my NASM reviews page. Exam: Performed at Testing Center. 120 Questions with 20 research questions that don't count towards final score. 2-Hour time limit and must achieve 70%+ to pass. In a close second place is the American Council on Exercise (ACE) CPT. Like NASM, it's a nationally recognized NCCA-accredited program that teaches science-backed health and fitness methods. It's designed around ACE's "Integrated Fitness Training" model and provides an excellent entry into a personal training career. ACE is a well-rounded and highly respected certification. If you want to work with a wide range of different types of client, it's one of the best options. Function - This stage involves mobility and stability training while establishing an aerobic base. Health - The health stage includes functional movement, cardiorespiratory enhancement and resistance training. Fitness - During the fitness phase, the focus is shifted to load and anaerobic-endurance training. Performance - The final stage is performance, which focuses on increasing anaerobic power. Rapport - Building rapport with a client is essential for great results, but is often overlooked. The IFT model teaches you how to build rapport with any client. Unlike the other phases, rapport is focused on throughout the entire process. These stages make it easy to design a custom exercise program that focuses on the client's goals and current fitness level. To be certified by ACE, you need to be at least 18 years old and completed high school (or equivalent level). When taking your exam, you'll need to present a government-issued photo ID, such as a passport, military ID or driver's licence. You'll also need to hold a current AED and adult CPR certificate before taking the exam and when it's time for renewal. ACE specifies that both the CPR and AED courses must include a live skill check - an online-only course isn't acceptable. There are three training programs currently offered by ACE: Standard, Premium and Premium Plus. All programs include ACE's personal trainer manual, study companion, Essentials of Exercise Science material, interactive study program, downloadable activities and an exam token. The Premium Plus plan also includes a trainer manual in eBook form, retest voucher and an additional course in fitness math. The interactive training platform, known as ACE Academy, is particularly useful when learning for your exam. You can use it to take practice exams, access the resource center and contact fitness experts for guidance. Unlike NASM, even the Standard ACE CPT program includes some personalized help. ACE describes this as "standard access" to their resource center, which means you'll get reviews of your practice results and live Facebook Q&As, along with access to study coaches via email. The Premium programs also include access to coaches via phone. If you want more one-to-one help with your training but can't afford NASM's higher-priced programs, ACE's Standard program is an excellent alternative. Like NASM, ACE requires you to renew your certification every two year after earning 20 hours of CECs. The cost of recertification is $139, although this depends on whether you recertify via mail or online. To complete your 20 hours of CECs, ACE offers a variety of courses, seminars and webinars. There are also specializations available, such as behavior change, senior fitness, functional training, and weight management. The orthopedic exercise, cancer exercise, biomechanics method corrective exercise and function first pain-free movement specializations make ACE a great choice if you're interested in the clinical side of personal training. ACE also holds an annual 3-day event called the ACE Symposium. This includes a number of expert demonstrations and presentations - plus the event can be used as part of your CECs. The price of the Standard program is $699, while the Premium and Premium Plus options cost $799 and $899 respectively. This simple pricing scheme makes it easy to choose the right option for your needs, as all study packages come with an exam token and the primary training materials. You can also choose to pay for the exam on its own, which costs $399. One thing to note is that the Premium Plus package can be paid for via a free financing plan. This splits the cost into four payments. The ACE CPT program is an excellent choice if you want a broad foundational knowledge of personal training. It's NCCA-accredited, reasonably priced and provides plenty of scope for future specializations. You also get one-to-one feedback during the training process with all the resource bundles, so it provides great value. For more information, check out our full ACE Personal Trainer Certification Review. Exam: Performed at Testing Center; 150 Questions Including 25 Ungraded; 2-Hour time limit and must get 90 questions correct out of 125 to pass. Recertification: 2 years renewal; 20 hours of CEUs; $139 for renewal. The NSCA-CPT is an NCCA-accredited program (not to be confused with their CSCS or CSPS courses) that aims to teach trainers how to provide physical training to a wide range of clients. It's one of the best personal trainer certifications from a world-renowned organization, which is why I've included it at #3 on this list. As you would expect from an organization dedicated to strength and conditioning, the CPT program is a little more focused on active clients than other certifications. I mainly recommend it if you're planning to work with athletic clients. For general personal training with the average fitness client, I think ACE or NASM are better choices. Note: Unlike their CPT program, the NSCA CSCS program requires you to hold a Bachelor's degree or higher. If you're planning to become CSCS certified, the CPT program alone isn't enough for entry. The NSCA is a highly respected research organization which focuses on athletic performance in humans. While the organizations CPT program has a slight bias towards the healthy and athletic client population, it still provides a well-rounded knowledge base for new trainers. One thing to note about the NSCA-CPT exam is that the pass rate is 58%. This is lower than both ACE and NASM, which hints that the exam is harder. Be prepared to put plenty of time and effort into the training materials before you take your exam. The NSCA CPT program has the same prerequisites as ACE and NASM. You must be at least 18 years old, have a high school diploma and current AED and CPR certifications. There are a range of study materials provided by NSCA. These can be bought separately or as part of a package. There are also additional resources provided in partnership with Human Kinetics. The most important resource for passing the NSCA exam is the textbook "Essentials of Personal Training, 2nd Edition." This is the authoritative book for preparing for the NSCA-CPT exam, and is designed to provide clean explanations and scientifically-backed information. The Essentials textbook is an excellent training resource. It contains a wide range of information (nearly 700 pages), including testing protocols, full-color exercise photos (plyometric, resistance and aerobic) and safety guides. Unlike training materials from lower quality certifying bodies, the Essentials textbook will be your reference guide for many years to come. While you can get by with just the textbook, NSCA also offers an exam content description booklet, practice question bundle and a product called "Exercise Technique Manual for Resistance Training." There are currently two packages available. The Essential Plus package costs $536 for non-members, and includes the primary textbook (with online study course), Exercise Technique Manual, various online questions and a guide to safety, emergency and legal issues. The basic Essential package still has the textbook, but doesn't include other resources such as the online textbook course or Exercise Technique Manual. It's much cheaper at just $279 though. Note: Neither package includes an exam token. You'll need to purchase this separately when you feel ready. Exams cost $435 for non-members and $300 for members. NSCA requires you to renew your certification every three years. This only costs $50, which is considerably less than many other recertification deals. You'll need 60 hours of CEUs though, which is more than the 20 hours required by ACE or NASM. Tactical Strength and Conditioning Facilitator (TSAC-F) - This program teaches you how to design programs for law enforcement, military, protective services and other emergency personnel. The goal is to increase performance while decreasing the chance of injury. Certified Special Population Specialist (CSPS) - The CSPS program teaches you to design individualized programs for clients with temporary and chronic health conditions, such as cancer, metabolic disease and autoimmune disorders. In addition to a current NCCA-accredited personal trainer certification, you also need a Bachelor's degree (or higher) and at least 250 hours of practical experience. Certified Strength and Conditioning Specialist (CSCS) - The NSCA's flagship program is the CSCS course. This is designed to teach coaches to create scientifically-backed programs to improve athletic performance. Like the CSPS program, you'll need a bachelor's degree or to be currently enrolled as a college senior. There are also different prices depending on whether you're a member. The various packages, separate exam fee and member prices can making pricing the NSCA-CPT difficult, although it's around average once you add it all up. With that said, NSCA provides heavy incentives to be a member. This costs $120 for certified professionals and includes access to various publications, an online training library, CEU opportunities, career development center and discounts on certifications. If you're planning to become NSCA certified, it's probably a good idea to get a membership - especially for the hefty exam discount ($300 compared to $435 for non-members). The NSCA-CPT program is an excellent choice for personal trainers who aspire to work with more athletic clients. The Essentials textbook is fantastic, and is almost required reading for any personal trainer regardless of the certification you choose. The program also has a relatively cheap 3-year renewal cycle and is accredited by NCCA. There are a few caveats to this recommendation though. The NSCA-CPT program leans more towards active clients, so it might not be the top personal training certification for the average population. There are also fewer specializations offered and you'll need to pay for yearly membership to get the best deals (plus the pricing options and packages are unnecessarily confusing). Pre-Requisites: At least 18 years old; Hold a current AED and CPR certification; Hold a High School Diploma or equivalent. Program Cost: Exam costs $300 for members at $435 for non-members; Training materials can be bought separately in various packages. Re-Test Cost: Varies depending on membership. Recertification: Every 3 years costing $50; 60 hours of CEUs required. The American College of Sports Medicine is one of the oldest and most respected fitness organizations in the world. It was established in 1954 as a nonprofit and provides a variety of certifications, including a CPT program that's accredited by NCCA. If you're looking for a certification that prepares you for the eventual goal of working in a clinical setting, it's a great choice. The ACSM-CPT teaches trainers to design programs for all ages and fitness levels. The program is based on research-backed techniques that can be applied to individuals with a diverse set of goals and experience. This means it's a great certification for gaining a solid understanding in all aspects of personal training - not just for athletic or healthy clients. If you want to be a well-rounded trainer, then the ACSM is a certification to consider. The ACSM has also designed a set of body composition and fitness guidelines that are used in a number of universities and clinical settings. 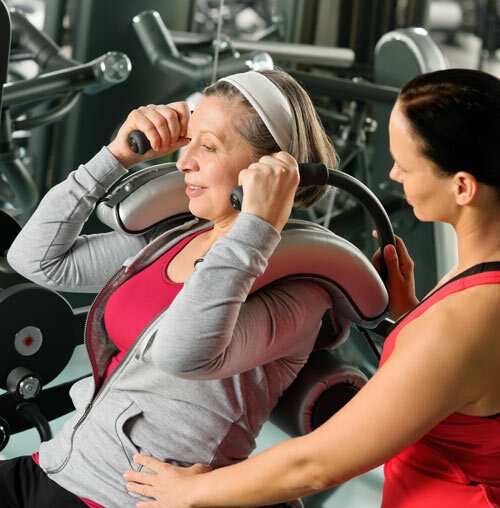 This expertise in health for the general population - including people with diseases - means the ACSM is a great choice if you want to train clients in a clinical setting. To take the ACSM CPT exam, you need to be at least 18 years old, have a high school diploma (or equivalent) and an active Adult CPR with AED certification. This is the same requirements as most high-quality personal training certifications. Like the NSCA-CPT program, ACSM sells its study materials and exam separately. While this makes deciding on the right materials more difficult, you may save money by only paying for what you need. The main training material for the ACSM CPT exam is the organization's PrepU system. Unlike traditional learning tools, this system "learns" your weak areas and focuses on them more, with the goal of providing more effective tuition. It also includes thousands of sample questions that are similar to those you'll find on the exam. PrepU is offered at different levels depending on how quickly you want to qualify. Prices start at $64.99 for three months and go up to $94.99 for two years. Unless you're going to take the test soon after getting access, I recommend at least 6 months. This only costs $10 more than 3 months but won't put you under as much pressure. Aside from PrepU, ACSM offers a range of other traditional learning materials. These include exam content outlines, hands-on preparation workshops and online classes. You can also buy textbooks that focus on the CPT exam. The primary books are all excellent, including ACSM's Resources for Personal Trainers, ACSM's Certification Review and ACSM's Guidelines for Exercise Testing and Prescription. They are worth buying as reference books even if you get PrepU. ACSM requires you to recertify every three years. This only costs $45, which is even cheaper than recertification for NSCA. Additionally, you'll need to complete 45 CECs during this time period. This is more than ACE and NASM, but less than the 60 hours required by NSCA. ACSM holds conferences, seminars and webinars throughout the year. These can be used towards your CECs. You can also submit continuing education courses from external organizations. In terms of future training, ACSM offers a wide range of options with a focus on clinical fitness and exercise. These include Clinical Exercise Physiologist (CEP), Registered Clinical Exercise Physiologist (RCEP), Cancer Exercise Trainer (CET) and Inclusive Fitness Trainer (CIFT). None of the training material packages include an exam token, so you'll need to purchase this separately. Members pay $279 for the exam, while non-members are charged $349. This is less expensive than the NSCM exam. The training materials are also relatively cheap. If you just want PrepU and are willing to learn all the material in 3 months, you could pay as little as $64.99. I recommend spending a bit more to get the textbooks, as they provide a well-rounded education that's easier to refer back to, but these cost less than $200. Of course, if you want to get the full program with 3-day workshop, PrepU, textbooks and other learning materials, you could end up paying a reasonable sum of money. Recertification is also relatively cheap, as it costs just $45 every three years. So, if you're on a tight budget, the ACSM is an excellent certification - especially as it's NCCA-accredited. The ACSM is a well-rounded and highly respected personal trainer certification. It has one of the lowest recertification fees and an innovative training platform. If you're looking for a certification with a slight gearing towards clinical fitness and health, this is probably the one to go for. Program Cost: Varies depending on the training materials (exam not included). Recertification: 3 years; $45 fee for recertification; 45 CECs required. ISSA is another certification that I recommend for new trainers - but with certain important caveats. Make sure you fully understand what you're getting with ISSA, as there are some big differences between this program and the others on this list. It's one of the only certifications to be provided by a recognized academic organization. It's the only program on this list that isn't NCCA certified, but it is accredited by the Distance Education Accrediting Commission, which is a federally recognized agency. ISSA also offers an entirely online program, including the exam which can be taken at home. Let's start with one of the most important differences: the lack of NCCA accreditation. I recommend avoiding unaccredited personal training certifications, as they are often poor quality and not recognized by most institutions. The ISSA program, however, is accredited by the DEAC. While this isn't as prestigious in the fitness world as NCCA, it's still a solid accreditation. Make sure you check with your main employment options to see whether they accept ISSA as a certification though. Despite the lack of NCCA certification, ISSA is still recognized by a number of large gyms. These include Powerhouse, Snap, 24 Hour Fitness, LA Fitness, Urban Active, Curves and Bally Total Fitness. This doesn't mean all gyms from these brand's accept ISSA though, so it's still worth checking with your potential employers first. The ISSA CPT program is also often considered to be the easiest personal training certification, as the test is entirely online and there isn't a time limit. This isn't necessarily a good thing, as it potentially lowers the standards of the organization's certified trainers, but can be appealing for beginner trainers. What about the program itself though? As you'd expect from a personal training certification, ISSA CPT aims to provide practical skills for designing individualized programs for diverse clients. It also covers topics such as marketing, basic nutrition and sports medicine. As with the other programs on this list, ISSA requires you to have a high school diploma (or equivalent) and hold a current CPR and AED certificate before taking the exam. You also need a first aid certificate, which isn't the case with most other programs. The ISSA program contains extensive training materials. These teach a variety of areas that are important for personal training, including anatomy, program development, physical fitness and health, kinesiology, biomechanics and nutrition. Fitness - The Complete Guide (Textbook, 759 pages). This is the main course text and includes everything you need to pass the ISSA exam. It also comes with a study guide, which is useful to avoid getting overwhelmed by the course contents. Online Exercise Lab. This part of the members site includes over 250 animated exercises in 3D. It's great for ensuring you know the proper form for a variety of exercises. Study Forum. The forum allows you to ask questions to fellow personal trainers and ISSA staff members. You can use it to complement the unlimited support you'll also receive. Marketing and Business Guide. An area many certifications overlook is getting clients. If you want to setup a business in personal training, this guide can help you get started. Practice Quizzes. 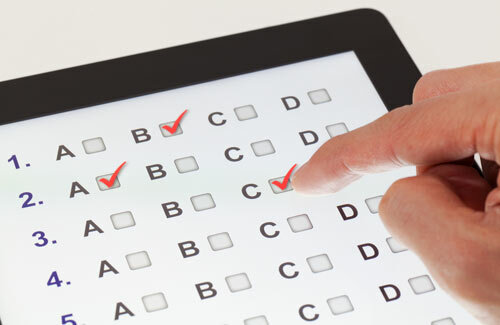 The practice quizzes allow you to test your knowledge before taking your exam. Unlimited Support. Unlike some certifications, such as NASM, every trainer enrolled in the ISSA certification program gets access to staff professors. These can guide you through areas of the course you're struggling with. Support continues even after you graduate. ISSA requires 20 hours of continuing education and renewal every 2 years.Renewal costs $99, although it appears the fee is waived if all 20 CEUs were obtained via ISSA undergraduate courses, ISSA-specific CEUs or ISSA certificates. There are also a number of certifications and specializations available. These include fitness nutrition, group fitness, senior fitness and exercise therapy. Once you've completed your basic CPT program, you can also train for the Elite and Master Trainer certifications. ISSA makes things easy when it comes to choosing a package, as there is only one option! This includes all the course materials and an exam token for $599. If you want to get the complete package, ISSA is one of the cheapest certifications. Retests are also relatively inexpensive. The first retest is free, while subsequent attempts cost $50. ISSA is a solid personal training certification that provides plenty of scope for future specialization. While the lack of NCCA-accreditation may put some future trainers off, the DEAC is still a recognized accrediting organization and the certification is accepted by a number of large gyms. The whole package also provides an excellent range of training materials for a reasonable price - especially as the first retake is free. I like that ISSA provides materials related to business and marketing, as this is often missed from certification programs. Make sure you check your employment options to see whether they accept ISSA though. If they don't, one of the NCCA-accredited options on this list is a better choice. For more information, take a look at our in-depth ISSA certification review. Pre-Requisites: At least 18 years old; Hold a current AED, CPR and first aid certification; Hold a High School Diploma or equivalent. Program Cost: $599 including all course materials and the exam. Exam: Online testing portal (pen and paper exam available too); You must achieve a 75% score or better on all sections to pass. Re-Test Cost: First re-test is free; Additional retest cost $50. Recertification: Renewal required every 2 years costing $99; 20 CEUs required. NCCPT. The National Council for Certified Trainers offers some excellent certifications that are NCCA accredited. IFPA. The IFPA offers several personal training certifications, including a master course. The organization is accredited by the NCCA. NESTA. The National Exercise & Sports Trainers Association (not to be confused with NETA) offers a 90 day schooling program, although you can purchase the exam separately. The exam is NCCA accredited. NETA. NETA is the National Exercise Trainers Association. They offer self-study and workshop options, along with an NCCA-accredited exam. NCSF. The National Council on Strength and Fitness is primarily a self-study program, although they also offer in-person workshops. The exam is NCCA accredited. AFPA. The American Fitness Professionals and Associates is an organization that offers a range of fitness certifications. It is accredited by Vital Research, however, not NCCA. Cooper Institute. Cooper's CI-CPT credential is an NCCA-accredited program. They offer live courses, online webinars or an online-only course. ISTA. ISTA is the International Strength Training Association. They offer an online certification in personal training (the exam is also online). American Fitness Institute (AFI). The American Fitness Institute offers an online personal training certification. The website is impossible to navigate and contains almost no information, so avoid this one for now. Fitour. Fitour offers a relatively cheap personal training certification and even some free study materials. They don't appear to be NCCA accredited though. NAFC. The NAFC offers a relatively cheap certification including an option with a job guarantee. They are approved by the NBFE, but don't appear to be NCCA accredited. Technically, anyone can be a personal trainer. If someone can convince a client to pay them for personal training, they are a "professional" trainer - regardless of whether they have any certificates or qualifications. That goes for the guy who read a Reddit post about Starting Strength and now thinks he's an expert, your granddad, or the woman in the gym who only ever uses the cross trainer but wants to earn some extra cash. There are no regulations stopping anyone getting paid for providing fitness advice. You could theoretically setup a website today and be a "personal trainer." The real question is whether this is a good idea. As you've probably guessed, it's not. Aside from showing potential clients you at least have some training and qualifications, many gyms won't hire you without a certification. Most insurance companies also won't provide liability insurance, which is essential if you're going to be running a personal training business (read our guide on how to become a personal trainer for more information). So, while many clients won't really care about which certifications you have, and they are just a starting point for your education, it's still important to have them (as we mention on our homepage). The best personal training certification programs also provide the foundational knowledge you'll need to start helping clients with a range of goals. While you might have learned a lot about workouts and nutrition over the years of going to the gym, this information is likely to be biased towards your goals and requirements. These may be very different to your average client. 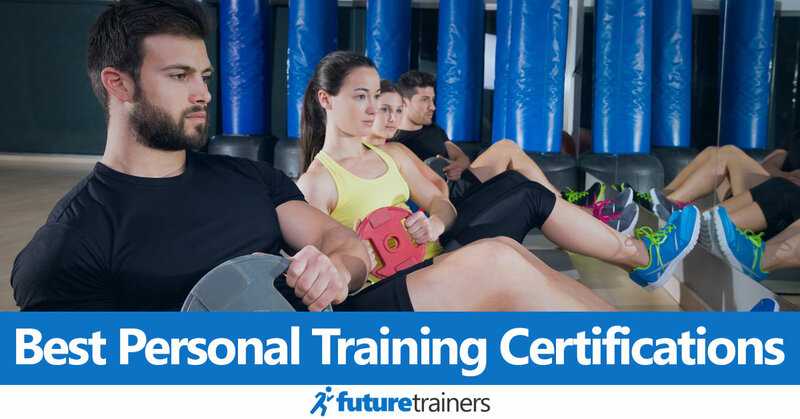 It's almost impossible to pick the "best" personal training certification for every future trainer. The right option depends on your requirements, goals, experience and budget. It's still vital to choose a top certification though. The right program can open up more job opportunities, provide a solid foundation in the science of personal training and establish a pathway to more specialized training. For this reason, I thought it would be useful to put together a list of some of the most important factors to consider when choosing a certification. 18+. You need to be over 18 to be certified by almost any certification program. CPR and AED. Most certifications require you to have current automatic external defibrillator (AED) and cardiopulmonary resuscitation (CPR) certificates. Don't panic if you haven't got these - you can get certified for both in one day courses offered by the Red Cross or American Heart Association (amongst others). Some CPT programs also require a first aid qualification. GED or HS Diploma. Some certifications also want you to have either a general education diploma (GED) or to have graduated high school. Experience. A few certifications specify that you must have a certain amount of personal fitness experience before you can take the exam. This type of requirement is uncommon for basic certifications though - it's usually only found on more specialized programs. The most common prerequisites for getting certified are being 18+ and having current CPR and AED certifications. If you meet these requirements, you'll have access to a wide range of accredited courses. Another self-imposed prerequisite is how much time you have available to study. The process of getting certified varies depending on your time constraints, so if you're working a full time job it might be worth looking for a program that allows you to purchase the exam separately so there's no time limit. Even amongst accredited and nationally recognized personal trainer certifications, the information and skills taught can vary. All CPT programs give you a basic set of skills to cope with a "standard" client (if there is such a thing). They have different strengths depending on the type of client you eventually want to work with though. The various certification bodies also offer additional certifications to allow you to work with a broader range of clients. That's why it's important to think about your short and long-term goals. Do you want to work with the average gym-goer and people who haven't exercised in the past? Would you like to specialize in a specific type of training after completing your basic certification? Are you more interested in working with athletes? Would you eventually like to help people with medical issues or even diseases such as cancer? While a certification doesn't limit you to a particular route - you can always take another at a later date - it's worth thinking about your target clients. As an example, NASM CPT is considered to be a great all-rounder. If you want to design training programs for the average person who wants to get in shape, it's an excellent choice. It also provides a broad focus that covers topics such as injury prevention and corrective programs. On the other hand, NASM might not be the best choice if you want to work with more athletic clients or in a clinical setting. These people often have more specific goals and may need a more customized program. Additionally, some gyms are more likely to accept personal trainers with specific certifications. If you're planning to apply to a certain gym, make sure you contact them before you make a decision. Some certifying bodies aim their programs at people without any experience in fitness or health. The material is often explained at a more basic level, so these courses are great if you don't have a technical background. The best options still teach a methodology for training, but they don't go into as much detail about why certain movements, patterns and techniques work. Other programs are "harder," in the sense that they expect a level of technical knowledge. These programs teach at a deeper level, with a focus on the mechanics and anatomy of the body. Again, there's no "best" option here. A nationally recognized certification is just a stepping stone into the personal trainer industry, so you'll have plenty of opportunity to continue learning. It's also unlikely that clients will know the differences in technical detail between the various certifications. Ultimately, go with a course that allows you to start your career as quickly as possible. If you don't have a background in anatomy and physics, you don't need to worry about gaining this knowledge before you get a certification. When comparing programs, pick an accredited course that allows you to use your strengths to qualify and start your career. If, once you're certified, you want to go back and learn at a deeper level, you'll be able to do so with more experience under your belt. Something else to consider is the expected length of training. While you can technically take an exam as soon as you feel ready, especially if the training is self-paced, the various certification have different time expectations. Programs that provide an exam voucher when you purchase the study materials. This voucher must be used within a set period (often 6-12 months). If you miss this deadline, you'll need to pay for another exam voucher. Programs that don't include an exam voucher with the course materials. You can purchase the exam voucher at any time when you feel ready. If you have a full-time job, make sure you have enough time to study the provided material and take the exam. While getting a personal training certification is much faster than a degree from traditional colleges, it still requires dedication. Most courses have an option of just buying the course material so you can set a later exam date, although this could encourage procrastination. Schooling may also include in-person workshops, classes or seminars. If you want to go to an in-person learning event, make sure the scheduled dates are suitable for your current commitments. You'll usually need to pay an extra fee for these events. Don't forget to check the pass rate of the certification. This varies depending on the exam (when looking at ISSA vs ACE, for example, the former has a higher average pass). While a high pass rate might seem tempting, it could indicate that the test is easier and therefore less valuable. Side Note: The number of exam questions also varies. Most exams contain around 120-140 questions, although some have up to 160. While this probably won't affect your decision, it's something to keep in mind when preparing. You also need to ensure there's an exam location near you - or at least one you can get to easily. If you can't access a test location, check out our best online personal trainer certification page. Accreditation is one of the most confusing parts of choosing a personal training certification, so I'll try to explain it in simple terms. A certification means that the individual (i.e. you) has met the required standards of an external certifying body. It shows you have the knowledge and skills to pass the organization's exam. Accreditation, on the other hand, is effectively a certification for the certifying bodies. To become an accredited program, a certifying body must be reviewed by an external organization and found to meet their requirements. If a CPT program has been accredited, it meets the standards set by an impartial reviewer. As I mentioned earlier, the fitness trainer market is unregulated. This doesn't just mean anyone can call themselves a personal trainer or instructor without a license. It also means anyone can create a certification! Accrediting bodies help sort the legitimate certifications from the rest. Accreditation means you can have greater trust that a program meets a high standard. There's still variation in quality between accredited programs, but you at least know they meet a set of minimum requirements. For this reason, I don't recommend choosing a program that hasn't been accredited by a recognized organization. What accreditations should you look for though? In the personal training world, the most common accreditation is the National Commission for Certifying Agencies (NCCA) which was created by ICE in 1987. This is usually considered the gold standard for accreditation, mainly because the evaluation is in-depth and repeated on a regular basis. There are other accreditations though. A good example is the Distance Education Accrediting Commission (DEAC). This is an organization that's recognized by the Department of Education, and it also requires regular re-accreditation and reviews. It's probably not as well-respected in the fitness world when compared to NCCA though. I've talked a lot about how personal training schools provide you with "basic" or "foundational" knowledge. Don't confuse this with low-quality or useless information though. The study materials and classes provided by the best CPT schools have been put together by a team of experts. Instead of searching for important knowledge in various books, seminars and courses, they provide a system for learning how to become a personal training instructor. This saves you time and can make the learning process more manageable. You'll undoubtedly develop your own systems and ideas as you gain more experience. When you start your personal training career, however, it's vital to work with a system and school you can trust. The best personal training certification should give you the confidence to design effective custom programs. For this reason, make sure the program you choose has high-quality learning materials. They might be the most expensive part of being certified, but you should never regret investing in your education. It's also worth checking the type of materials that are included. Some programs provide physical books, which are great for highlighting or making notes, or hands on weekend classes and seminars. Many also provide ebooks, DVDs, study guides, interactive lectures, or PDFs. A few are entirely digital and may provide live online classes. Many schools offer additional certifications beyond basic personal training. 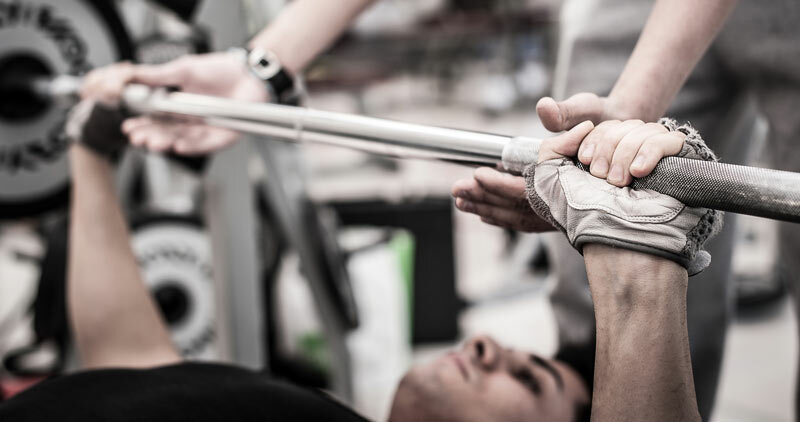 Some of the most common include group exercise certifications, but there are more unusual options such as tactical strength and conditioning (NSCA) or medical exercise specialists (ACE). While you're not tied to courses provided by your CPT certification provider, it's worth taking a look at their other courses. It's a bonus if they offer certifications in areas you would like to train. You'll need to periodically recertify if you want to keep your certification. The amount of time between renewals varies depending on the certifying body, although it's typically 1-3 years. Most certs in the USA require you to take continuing education units (CEUs) or continuing education credits (CECs) to be eligible for renewal. ACE, for example, requires certified professionals to complete 20 hours of CECs every two years. CEUs are an excellent way to broaden and sharpen your skillset, so they aren't a bad thing. Make sure you know how many CEUs or CECs you'll need to complete though, as this could affect the right course for your goals. The good news is that you don't always need to attend your certifying organization's seminars and conferences. Some allow you to submit external health and fitness-related education courses, seminars and events as continuing education credits. Note: You'll also need to keep your AED and CPR current to remain a certified personal trainer. Getting certified isn't always cheap, but it's still one of the least expensive careers to train in. Many certifying bodies also offer bundles, cheaper self-study options and payment plans to help you manage the cost. It's important to know the total price of a certification though. Don't make the mistake of choosing a program from a school that's cheaper upfront but costs more in the long run. Cost of Learning Materials. Buying learning materials for a certification is often the biggest upfront cost. Cost of Exam (If Bought Separately). If you don't get an exam voucher with the training materials, you'll need to pay for it separately. The cost of the exam may also differ depending on whether you're a member of the certifying body. Cost of Retakes. Not everyone passes a certification exam on the first attempt. Retakes are usually cheaper than the first exam, but the cost can still be considerable. Cost of Recertification. A certifying body will expect you to pay a fee to recertify, along with completing the required amount of CEUs (which also cost money). Cost of Membership. Some certifying bodies, such as NSCA, offer a membership for students and professionals. These usually aren't mandatory, but may be worth paying for depending on the body. For more detailed information, check out our page about the cost of a personal trainer certification. We also have a page listing out top picks for a cheap personal training certification. Most courses have a selection of packages depending on your budget. Self-study courses, for example, are often the cheapest, but don't offer one-to-one mentoring. You'll usually need to pay extra to get access to online courses, live workshops or even job guarantees. On a side note, make sure you keep an eye on deal and coupon sites (Groupon is a good example). Sometimes certifying bodies offer excellent cut-price deals on these sites. Some programs require you to sign up to an ongoing membership, while others just recommend it. Required membership adds to the lifetime cost of the certification, although there may be added benefits of being a member. Make sure you know whether you're expected to continue paying for a membership. The certification you choose isn't as important as you might think. Yes, it's vital to choose an accredited certification that provides a solid foundation with broad job prospects. And choosing a bad certification is a waste of time and money. You're also wasting time, however, if you spend months researching the perfect course. Clients often want to know your credentials so they can judge your credibility. But they really just want to be sure that you have a legitimate certification and can help them achieve their goals. They are unlikely to know (or care) about the subtle differences between accredited CPT programs. If you can get them results, they'll love you for it. Remember, a certification is just the starting point for your career and education. It provides foundational knowledge, but you won't really start to learn until you get hands on experience. Your skills and knowledge will be built by spending thousands of hours working with clients with a range of ages, genders, abilities and goals. There is no shortcut. Don't let this put you off though. It's what makes personal training such a unique and endlessly rewarding career. To summarize, don't obsess about finding the absolute "best" certification. Choose one that meets your current requirements and get studying - the sooner the better! Personal training can be a fantastic career. It's flexible, fun, sociable, and provides the opportunity to help people achieve their fitness goals. In an era when obesity is on the rise, it's not an exaggeration to say that helping people improve their health could save lives. The process of becoming a personal instructor can be overwhelming though. With so many certifications on the market, it can be hard to know which to choose. The truth is that there is a number of excellent certifications on the market. Your success as a trainer largely depends on your ability to gain real-world experience with clients. The certification just gets your career started - it doesn't make you an expert trainer. With that said, it's vital to choose a high-quality certification that teaches you to design great programs for your clients using a repeatable system. Accredited certifications also allow you to work in a wider range of gyms and get vital liability insurance. So, which is the best personal training certification? For a well-rounded program, my top pick is NASM-CPT. It's an excellent program made by an organization with a long history in the fitness world. The study materials are clear and comprehensive, it's widely accepted so you you'll be highly employable, plus they offer a range of future specializations. If you're not sure which to go for, I don't think you'll be disappointed with NASM. Do you have any questions about choosing the best personal fitness certification? Or are you a certified personal trainer and want to share your experience? I'd love to hear from you in the comments section.